R-Day is over, Guwahati Municipal Corporation wishes today on Twitter! The 70th Republic Day celebration was over on Saturday, but the Guwahati Municipal Corporation (GMC) wished the people of the city on the occasion only on Monday morning, two days after the celebration. It may be mentioned that along with other parts of the country, the 70th Republic Day was celebrated by the Guwahati Municipal Corporation on Saturday. 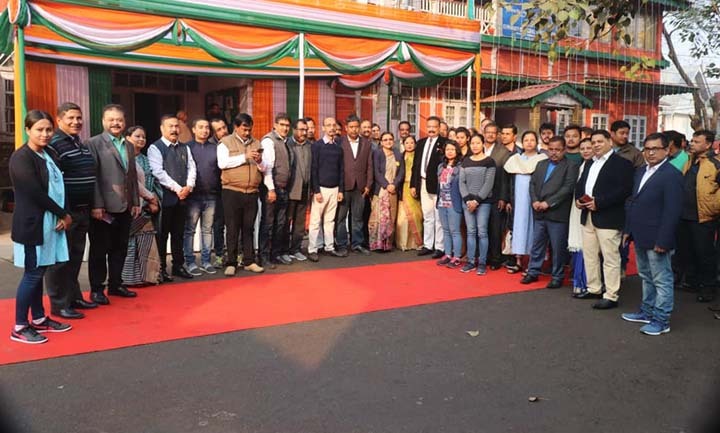 According to information, Guwahati Municipal Corporation (GMC) commissioner Monalisa Goswami hoisted the national tricolour at the Corporation’s office in Kachari in presence of a host of officials and employees of the GMC. 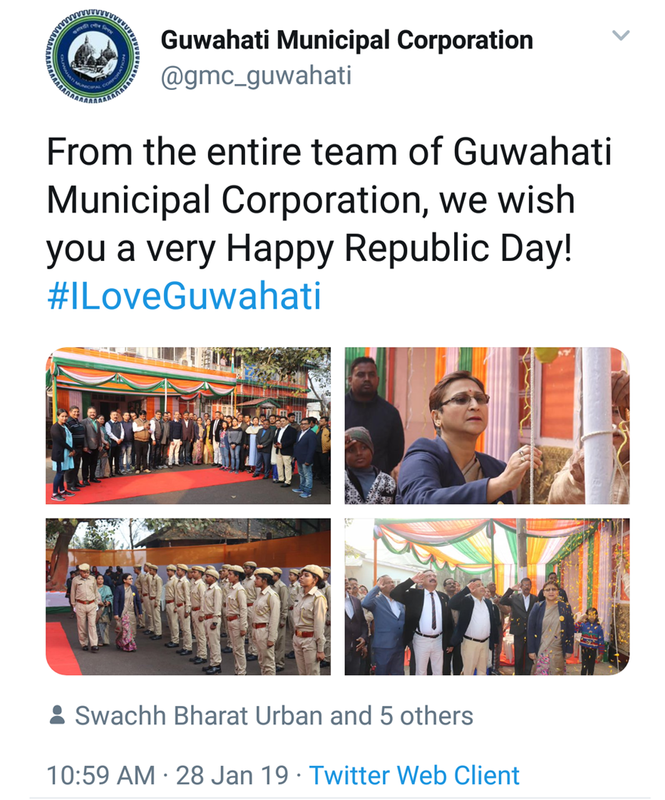 However, Guwahati Municipal Corporation (GMC) on its official Facebook page wished the people of the city on the day of the 70th Republic Day celebration on January 26, 2019 while uploading the same pictures, which are also available on its Twitter handle. It seems the GMC, which has started online campaign to keep the city clean and green, is yet to become tech-savvy and careful while updating its Twitter handle. Meanwhile, the GMC has asked the people of the city and the visitors to the city to upload the Swachhata App to track the nearest public toilet with the help of Google Toilet Locator. It also urged the people to follow their page for more updates on public toilets around Guwahati.